Are you interested in learning about the Labor Day weekend Jerry Lewis MDA Telethon fundraiser? The Jerry Lewis MDA Telethon fundraiser has aired every Labor Day weekend since 1966. The first year, it was broadcast on only one television station in New York, yet still raised over a million dollars in pledges. The program quickly grew to an annual, nationwide event shown on more than 180 television stations throughout the United States to an audience of more than 40 million people. The program is also broadcast live via the Internet. In 2009, the program resulted in $60.5 million in pledges. While the program is clearly devoted to the mission or raising money to fight the battle against muscular dystrophy and many other neuromuscular diseases, it also has enormous viewer appeal. The show follows a variety show format, featuring performances and appearances from popular comedians, actors, musicians, and others. Viewers are encouraged to call in and pledge their support in the form of monetary donations. The efforts than two million volunteers across the United States go into making the annual telethon a success. 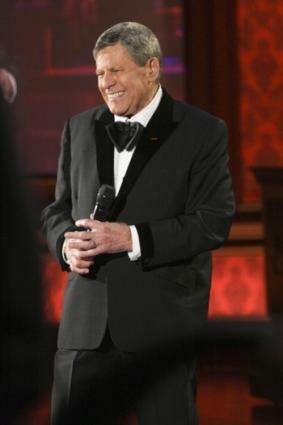 While Jerry Lewis has been the leading volunteer since the program's inception, he is certainly not the only celebrity who gives freely of his time to support this important MDA fundraiser. Over the years, the show's celebrity volunteers have included Sonny and Cher, Frank Sinatra, John Lennon, Michael Jackson, and many others. Celebrities are not the only ones who give their time to help promote the mission of the Jerry Lewis MDA telethon fundraiser. Many of the volunteers are individuals who are affected by the disease and their family members, as well as those who simply understand the importance of fighting this crippling illness. Many organizations and businesses get involved by sponsoring MDA fundraiser events and appear on the telethon from their local communities to present their gifts. The annual Labor Day telethon is the most important fundraising event for the Muscular Dystrophy Association (MDA). The money raised as a result of the program goes toward helping the nonprofit organization fund its research efforts as well as much-needed medical and support services for people whose lives have been affected by muscular dystrophy and other neuromuscular diseases. If you are interested in getting involved with the annual Labor Day telethon as a volunteer or if you'd like get involved with MDA in another manner, call (800) 572-1717. You can also learn more about the organization online at www.mda.org.